Crown Flix was founded as a response to the lack of quality entertainment with Christian values. We at Crown Flix strive to offer diverse stories and types of entertainment that all share one quailty: They have Christian Values! Whether it be feature film, shorts, television or web series, you can be assured that a Crown Flix production will not be comprimised. We offer entertainment from drama to comedy. Where did the name come from? If Jesus is your Lord and Savior, when we arrive in Heaven, God will give us Crowns of Glory. Of course, we will realize all the Glory belongs to the Lord and we will cast them back at His feet. It is a reminder that we are not of this world. Crown Flix founder, Meggie Jenny, also loves pineapples. It is said: "Be a Pineapple. Stand Tall. Wear a Crown. Be Sweet on the Inside." 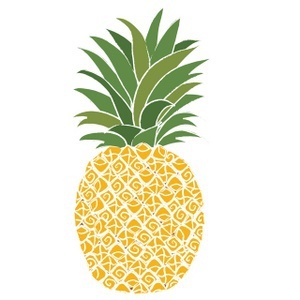 That is where our pineapple love comes in!